Sunday, Oct. 28, 2018 – that was the last time a Major League Baseball game was played. Well, the ​boys of summer are back, even though it's still winter. Luckily, these games will be played in the warmer climates of Florida and Arizona this afternoon, as these players and teams take their first step toward the ​2019 World Series. And when there are ​games to be played, there are bets to be placed. Bettors can wager on the two games today – the Philadelphia Phillies vs Tampa Bay Rays and Oakland A's vs Seattle Mariners – and every MLB game moving forward on FanDuel Sportsbook. 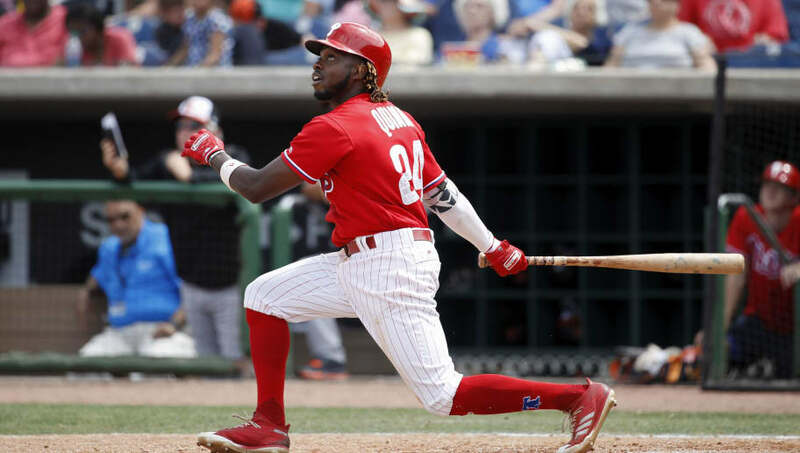 In the first game, which starts at 1:05 p.m. EST, the Rays are -132 favorites to win while the underdog Phillies have +108 odds. The second contest of the day has the Mariners as -124 favorites with the A's coming in with +102 odds to win. And we have a lineup! It's worth noting that the Phillies will not have ​fantasy relevant players like Rhys Hoskins, J.T. Realmuto or ​Jean Segura in their starting lineup today, but that shouldn't stop bettors from placing a wager on this or any other MLB game in the coming days, weeks and months.